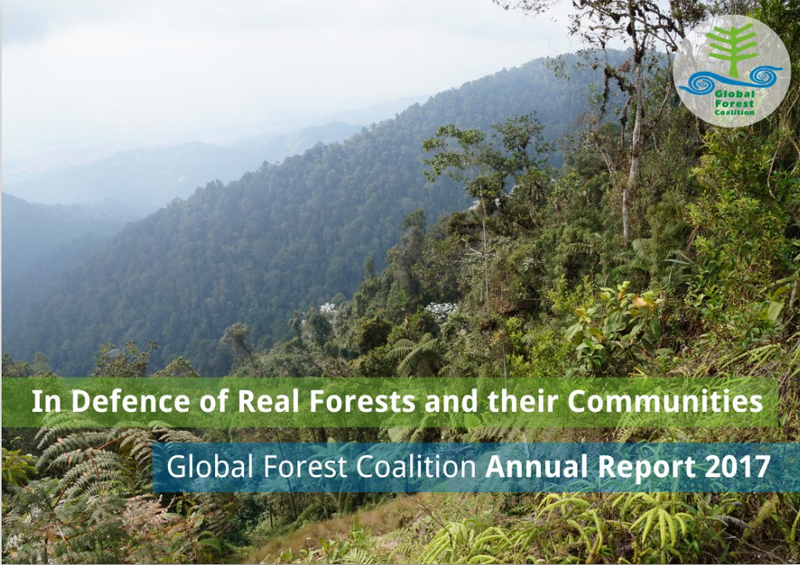 We are happy to share our 2017 Annual Report: “In Defence of Real Forests and their Communities”. As a global coalition, we have come far. Founded in 2000 with just 19 members, the Global Forest Coalition has since succeeded in bringing together 94 diverse organisations from 62 countries. Together, we work to defend the world’s forests and forest peoples, threatened by a dangerous consumer culture that is promoted by transnational corporations. But nature is not a commodity, and life is not for sale. Instead, we must fight for the rights of the people that depend on forests and call them home−Indigenous Peoples, local communities, and women. 2017 was a year of important accomplishments and celebration for GFC. But we also grieved the death of our dear comrade, Wally Menne, a ferocious defender of forests in South Africa and around the world. For GFC, and so many other forest activists, it is hard to imagine a world without Wally. We honour his life and spirit, and take inspiration from his vision and passion.